Tina Roy is a Broker with RE/MAX Preferred Realty who has worked tirelessly to establish herself as one of the top agents in the Windsor-Essex County region. She specializes in luxury and waterfront properties in the Tecumseh/Lakeshore area. She is also actively involved in the Windsor-Essex County Association of REALTORS® and numerous fundraising causes. 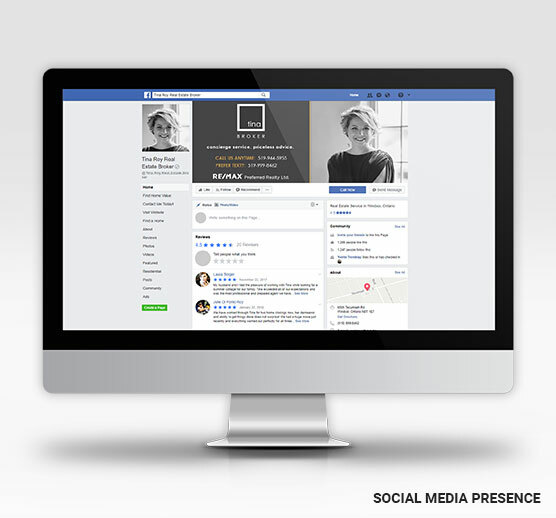 When we first began working with Tina, we started by developing a distinct brand and logo for her that would project a professional and memorable image to potential clients. The result was a clear and direct logo that continues to make an impression on clients to this day. With her logo in place, we designed yard signs, business cards, and other branding items to present a modern, consistent, and professional image of Tina in everything that represents her as an agent. Tina began with a custom website and branding from Real Estate Solution in 2014.With her brand in place, we designed her logo to fit that same image and present a clear message about Tina as a leader in Windsor-Essex real estate, especially in the Lakeshore market. As Tina’s real estate business has continued to grow, we’ve continually updated her website to reflect that. In 2018 we redesigned Tina’s website with a bold new layout, a greater emphasis on luxury and waterfront properties, and new features including the ability to add exclusive listings, detailed community information, custom intake forms for buyers, sellers, and investors, and more. As Tina has continued to expand her real estate business, we have worked with her to help her reach more clients and explore new marketing opportunities. This includes the design and printing of a custom book about her services, large format signs, postcards, promotional items, and more. As Tina continues to grow her real estate business, we look forward to helping Tina increase the visibility of her brand and reach new clients. 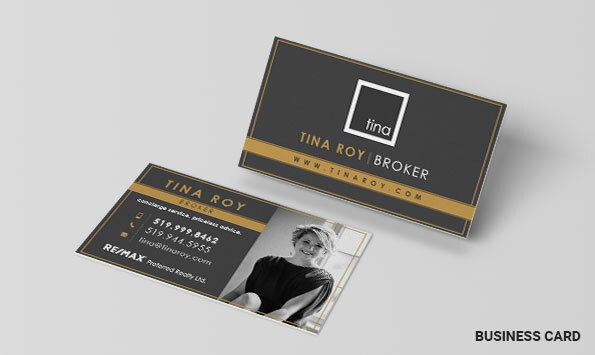 Tina Roy is just one of the many real estate agents we've worked with to help them grow their business, establish themselves in the competitive real estate marketplace, and bring in more leads. Whether you're an individual agent, a member of a team, or interested in services for brokerages, at Real Estate Solution we have a comprehensive group of services available to help you generate more leads and stand out to potential clients.